JSMS Students of the Month for March 2019 announced! 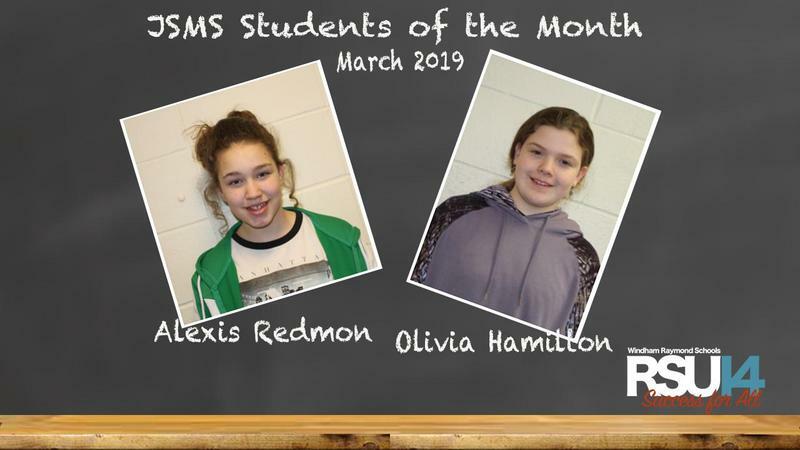 Olivia Hamilton and Alexis Redmon have been recognized as the JSMS Students of the Month for March 2019. JSMS Students of the Month for February 2019 Announced! 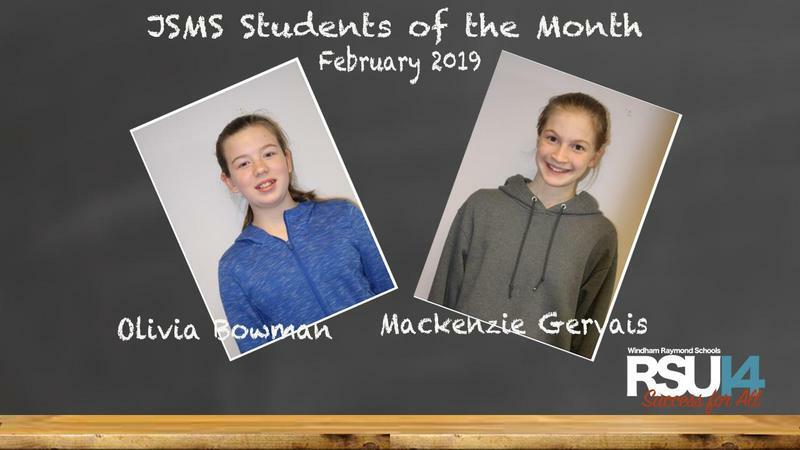 Olivia Bowman and Mackenzie Gervais have been recognized as the JSMS Students of the Month for February 2019. JSMS Students of the Month for January 2019 announced! 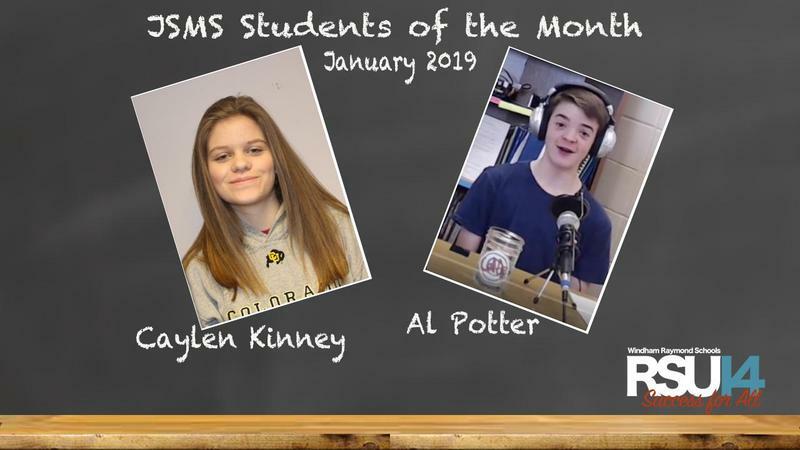 Caylan Kinney and Al Potter have been recognized as the JSMS students of the month for January 2019. 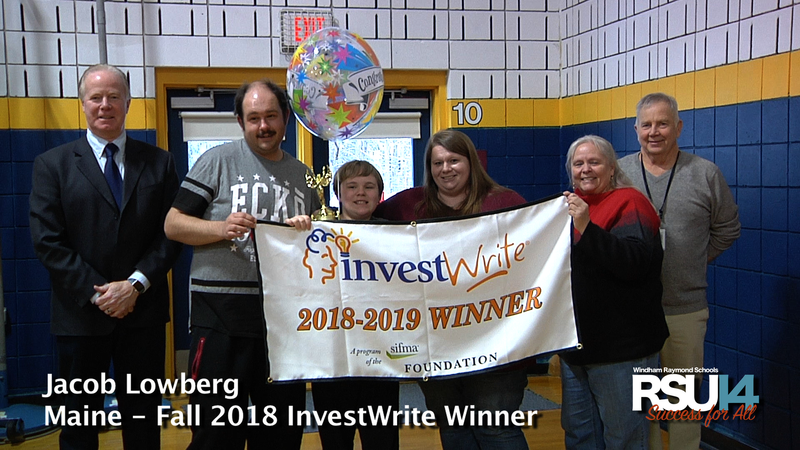 SIFMA Foundation announces Jacob Lowberg Fall 2018 InvestWrite Winner. Jim Ford from the SIFMA Foundation recognizes JSMS student Jacob Lowberg as the Maine InvestWrite Fall 2018 winner. The primary goal of JSMS is to provide students with the academic skills and personal habits necessary to ensure success at the secondary level. Students and staff model respect, patience, and kindness. Students and staff practice acceptance, courage, and compassion. Staff members communicate effectively with parents to cultivate a partnership. Students are involved in the process of developing class expectations with their teachers. Staff members use intentional strategies to help students build the resiliency needed for healthy decision making. Students use these strategies to accept and build individuality and the resiliency needed to overcome personal obstacles. Videos about, for and by the students at Jordan-Small Middle School.